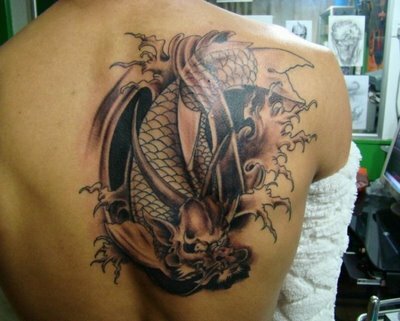 Dragon tattoos are one of the popular tattoo designs. 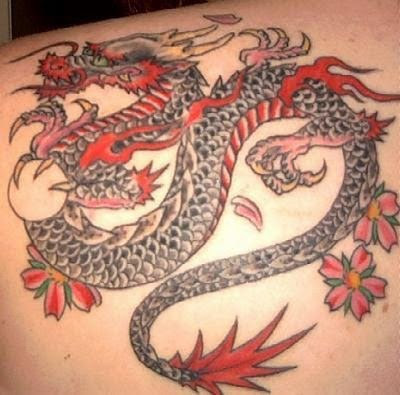 The dragon tattoo is regarded as a classic tattoo which is popular among men and women. They are quite popular tattoo designs as they exhibit the influence of Japanese and Chinese culture on western tattooing culture for nearly two centuries. Dragons have been also termed as a symbol of Earth, Water, Underworld and Sky. It is said that natures nurtures and nature destroys and so does the dragon. One of the common images of dragon resembles some sort of reptilian creature with lizard like features which dominates the image. The dragon tattoo images features the forked tongue which is common to reptilian creatures. The colors are as important as the design of the dragon tattoos. If you consider the Chinese mythology then dragon tattoos are regarded as ancestors of the Chinese people since these creatures were symbols of supernatural and imperial power. Fire spitting dragons have been associated with lightning water dragons which were regarded as guardians of lakes, streams, rivers and individual pools.